I love basil. And I grew a lot of basil over summer. And when I say a lot, I mean I had six huge basil plants growing. I love basil on pizza, in pasta, with sun-dried tomatoes, and I definitely LOVE basil pesto! I love it on crackers, on pasta, with chicken, and in pastry scrolls with cheese. Oh golly. Yes, I love basil. And you should love basil too. 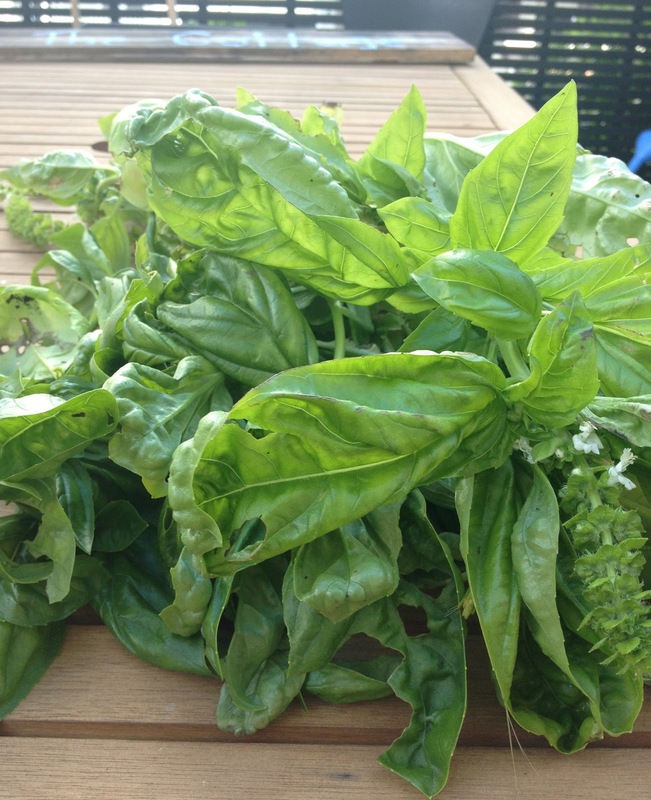 Basil is such a great herb to grow in your garden. Planting it around tomato plants (I did this), called companion planting, helps to give the tomatoes more flavor as they grow. It looks so beautiful as well, if you are planting it in a herb garden, or even in your kitchen garden. Its very simple to grow as well. I bought seedlings and then transferred these to my garden. I dug holes deeper than needed, and then filled these holes with some soil that has special nutrients in it that helps herbs to grow well. I then put the seedling in the hole and covered the roots, and then watered it. 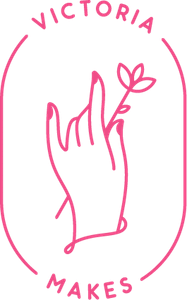 The two minor branches that you found, will now turn into main stems, and encourage more growth outwards rather than upwards. You can continue to do this as you feel your plant is getting too tall. At the end of summer, I had a lot of basil that I hadn’t used, and I was getting my garden ready for the new seasons planting, I decided to pull the basil out of the garden. I had a lot. And so I knew I wasn’t going to be able to eat it all by scattering a few leaves here and then. So pesto was my best option for savoring my basil. And I knew that I would have to preserve some of it, and I don’t like the idea of putting it in jars. And then it hit me, I could freeze individual pesto servings! This actually turned out to be a thing already, and I found that many people had had problems where they were thawing their pesto, and the basil turned brown. The solution: blanch the basil first! Blanching is where you emerge a vegetable into boiling hot water for a short amount of time (in this case, for the basil, like 5 seconds, or until it wilts slightly). I used a sieve to help me do this, because it is only in the water for a short time, it is easier than fishing around with a slotted spoon, but use that if you need to! And very importantly, do it in batches, as this means the cooking is more even! 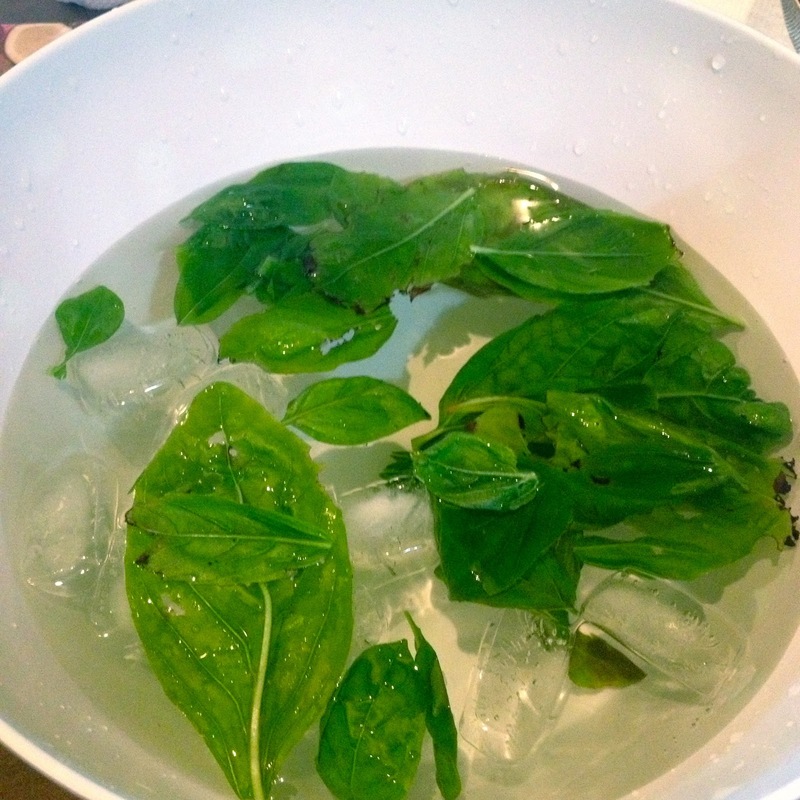 After putting it in the boiling water, the basil is quickly transferred to ice cold water. Doing this almost brightens the green color of the basil, and helps to lock it in. I found that it intensified the basil flavor too! 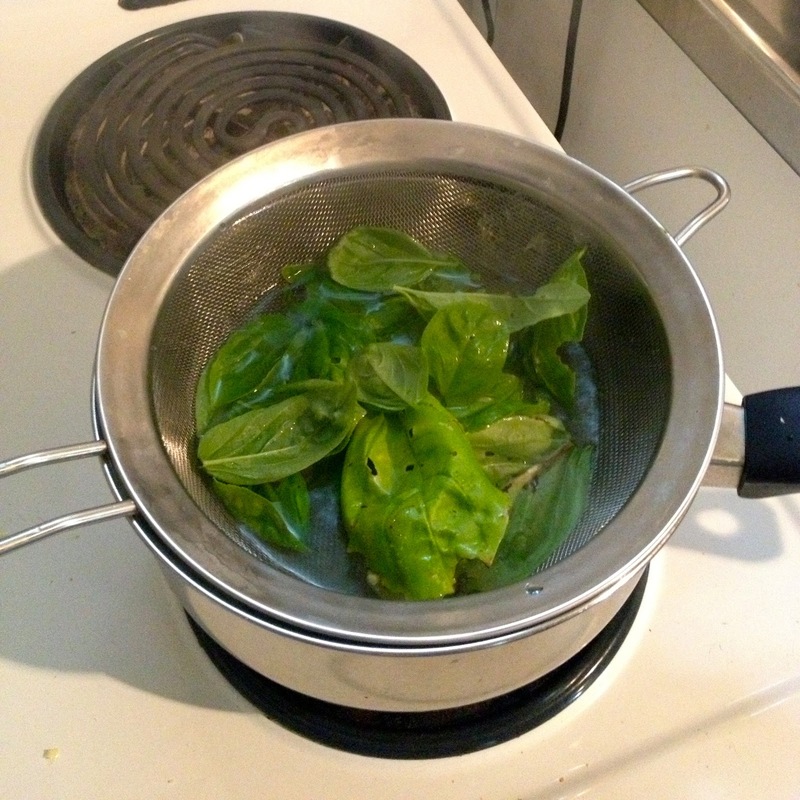 After blanching the basil, I removed it from the ice cold water, and gently patted the leaves dry. I put these in a blender, and then added a little bit of oil. As the blender combined the basil and the oil, I added oil slowly so that it became more of a paste, than slightly oily little basil leaves. This is such a simple recipe, that you don’t need measurements. Just add oil, until the pesto looks like it is starting to come along. After I had the right consistency, I poured it (very messily) into ice cube trays and then put these in the freezer. After spending the night in the freezer I removed the pesto cubes from the ice tray and put them in an air tight container which I keep in the freezer. 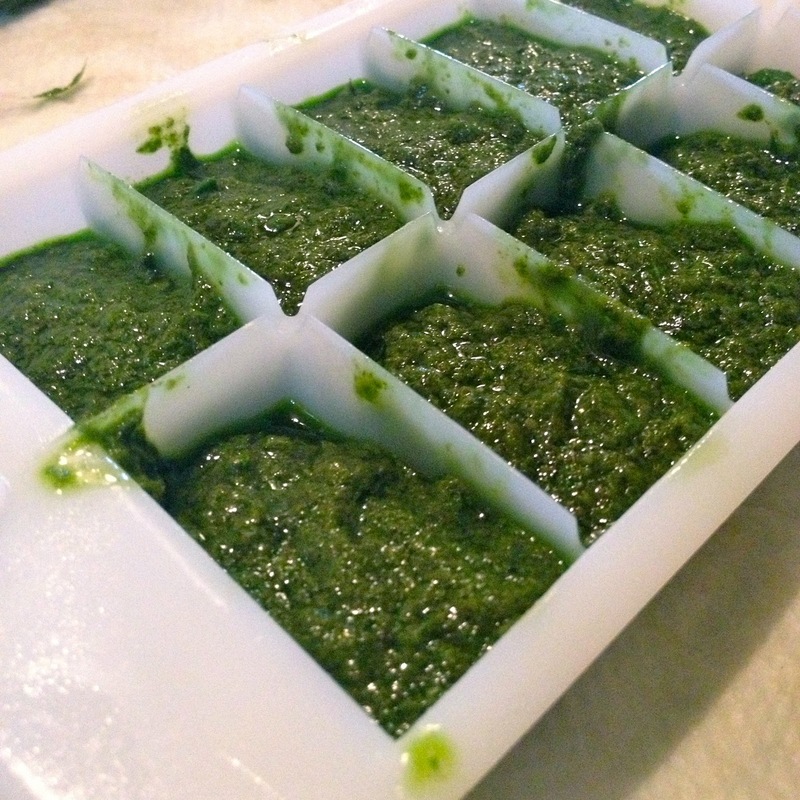 This is so handy because whenever I need a little bit of pesto, I just take out a cube, and let it thaw. Because it is just basil and oil, you can add your own seasonings depending on what meal you are having. Some delicious flavors to add are garlic or parmesan! Yum yum yum! I love this pesto with pasta! Its such an easy quick meal! Just cook the pasta, and then drain the water, saving a little of the water. Put the pasta back in the pot, add the pesto cubes, and add a little bit of water, and heat through! Add lots of pepper and lots of parmesan! So good!